Last week the FCC passed new rules for net neutrality, declaring an open Internet for all. Since the announcement was made, there has been some serious debate on what net neutrality means for businesses, and how it will transform the TV industry. 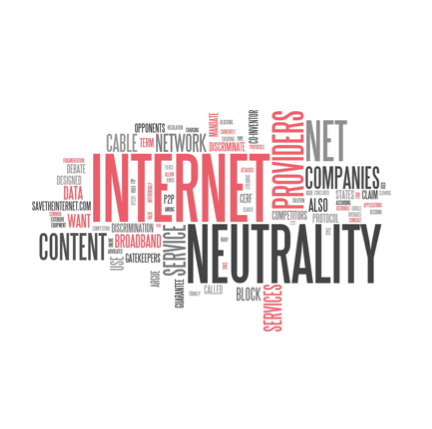 It has been said that net neutrality is a win for both SVOD and for consumers, helping to bring more innovative services to market, and reduce prices for today’s viewers. But is there more to the ruling that consumers are missing? The net neutrality debate has been going on for some time now. It first started in 2002, when the FCC classified cable broadband as an information service. Since then, there have been policies, complaints and tried attempts at ruling to create regulations amongst the Internet. Now, some 13 years later, the Internet is now classified in the same boat as telecommunications services- a public utility. As a result, ISPs have been banned from blocking or slowing down broadband, or for charging premiums for ‘fast-lane’ broadband services (also known as paid prioritization). Simply put, the Internet is now a free market. Content owners will not have to pay to get their content out to consumers, and cable providers will not be able to favour larger companies who pay them lots of money. Small start-ups that would have otherwise needed wads of cash to bid against the big players now have a fighting chance of survival. The ruling also means that there is more opportunity for innovation and competition- and we all know that competition is good for consumers. As new, creative services come to market, businesses fight it out, services get better, prices drop and there is more choice. It’s win-win for everyone. So it all seems reasonable. The regulation will stop monopolies forming and there will be a fair market for all. And, in all honesty, should content providers really have to pay extra just to get their content out to consumers? Don’t consumers have the right to pick and choose the services they want to use, rather than be given services because someone has paid a big fat cheque? The full details of the ruling haven’t yet been made public. And for consumers, while it is an opportunity for new services to come to light, in all honesty, I am sure they won’t notice much difference. Their Internet won’t suddenly be faster, and your Netflix will probably still buffer. But with something as important and integral to everyday life as the Internet, I think regulation and preserving a free market can only be a good thing.